If you don’t look at your own resources and see how to leverage them wisely, you limit your ability to succeed. Today’s Sherpa, Matt Handshakin Holmes, describes how his personal goals and resources were critical to his professional success in SEO/marketing. All investors focused on lean growth should watch this show. Entrepreneur, Speaker, Author, & World Record Holder. Tess: Serious about online trading? Secure your funds, keep your merchandise safe, and use a company that keeps the buyer and seller protected the whole way through. Go to ESQwire.com, payments you can trust. Finally, if you’re a domain name investor, don’t you have unique legal needs that require domain name technical know-how and industry experience? That’s why you need Stevan Lieberman of Greenberg and Lieberman, or Jason Schaeffer of ESQwire.com. Go search for Jason Schaeffer or Stevan Lieberman on DomainSherpa. Watch their interviews, and you can see for yourself that they can clearly explain issues, can help you with buy-sell agreements, deal with website content issues and UDRP actions, and even help you write your website terms and conditions. Stevan Lieberman and Jason Schaeffer are the lawyers to call for internet legal issues. See for yourself at ESQwire.com or APLegal.com. Hey, Sherpa network, thank you so much for joining me today. My name is Tess Diaz, and I’m the Executive Producer of DomainSherpa.com, the website where you can learn how to become a successful domain name investor or entrepreneur directly from the experts. In today’s show, we’ll explore how a world record is helping build a brand, how our guest is building credibility via interviews and backlinks, and how he’s built hand registrations or expired domains into $500 a month profit in just 6 months. Today, I’d like to welcome Matt “Handshakin” Holmes, entrepreneur, author, world record holder, and founder of Handshakin.com. Welcome, Matt. Matt: Hey, Tess, glad to be here. Tess: Thanks for joining from Denver, Colorado. How are you doing today? Matt: Doing well and staying warm. Tess: Good, that’s important out there. So, I think the burning question on everyone’s mind when they first meet you after an introduction like that is about your world record. Tell us, what’s your world record in, Matt? Matt: So, it’s for the world’s longest handshake between two people. And it was 43 and a half hours is our record, and we beat the record by just one hour before, it was 42 and a half hours just before that. Tess: Forty-three and a half hours of shaking one person’s hand. Tess: That sounds exhausting. So, you earned the nickname Handshakin earlier in life. Tell me about your nickname first and then we’ll get to how you turned this into a world record. Matt: Sure. So, the quick story is 2013, I was working on Capitol Hill in D.C. And I thought it was really cool that there’s U.S. congressmen and senators just walking around, you know, the same place as you, and every time I’d see them, I’d say, “Hey, John Boehner, Paul Ryan, can I catch a handshake? Can we take a photo?” And I’d always shake their hand in the photo. And my friend started calling me, “Handshakin Holmes, he’s at it again. Who do you handshake this week, Matt?” And that was before I launched my business, Handshakin’, but, as you can imagine, the business was launched shortly after that, and the world record was broken shortly after that. Tess: Neat. Really, really neat. So, you’re on this nickname because you had really, you know, a passion on your own, you like meeting these folks and shaking hands, making a personal connection with them. That’s really neat. So, I think it’s especially relevant for our Sherpa network, you know, domain names are primarily just virtual assets. Most everything we do, we email people, there’s not a whole lot of human connection. So, things really relevant, the Sherpa network tries to put a human connection. Our viewers feel like they’re hanging out with us, you know, and now we’re all handshaking. So, that’s pretty cool. So, the burning question on everyone’s mind, and I was relieved when you told me everyone asks this, get it, relieved, is that everyone asks you, how did you pee, 43 and a half hours? How do you do that? Matt: Oh, Tess, well, you guys are all going to be very relieved indeed to learn that when you apply to break a Guinness world record, it takes 10 weeks to hear back from them, and that’s when they’re gonna get you all the intricate details of your specific world record that you’re trying to get. And in Guinness’ guidelines, it is up to 5 minutes per hour of handshake and you can take as a break. Now, of course, if you use all those breaks, you’re going to be awake a very, very long time, and, you know, it’s gonna take a lot longer to hit that 43-and-a-half-hour mark that you’re going to have to beat. But, you know, what that does mean is that you can stop shaking hands and go do your numbers, and that is everyone’s first question and they’re always glad to hear that we weren’t holding hands in the bathroom. So, yeah, but, of course, we didn’t take all of our breaks because we were awake a total of 50 hours, and I remember going to bed and my heart was just racing, and I thought to myself, “This really can’t be good for the body.” But, yeah, it was quite the experience. Tess: Energy drinks? Might [crosstalk]. Matt: Yeah, four energy drinks, didn’t wanna overdo it. Yeah, definitely. Tess: That’s pretty wild. And it sounds like this was a personal passion of yours, the handshaking, you earned this nickname on your own, and you’d always had on your bucket list that you wanted to break some world record. But once you started this business, you recognized that making this item on your bucket list could really grant your business some credibility. That, Matt, I mean, talk about thinking outside the box, tell me, how did this idea come to be? How did you realize this was something that could benefit your business? And how has it benefited your business? Matt: Yeah, absolutely. So, you know, when I had started my business, just under a year before attempting the world record, I realized, “Hey, you know, a world record has been on my bucket list a while. Why don’t I actually search for what world records are vulnerable related to handshaking?” And I looked at a ton of them, and a lot of them were very difficult and I didn’t think I could break them. But this one in particular, I thought that we might have a chance. So, I started pitching some friends on the idea and kinda seeing if any friends would do it with me. And, you know, started planning it, got a data on the books, got a location, went through, you know, Guinness’ guidelines, and finally did it. And then it happened, and that was crazy. We got a ton of press. You know, the news reporter showed up with like a huge video camera, and it got us a ton of backlinks. You know, the only goal was just to check that off the bucket list, and, of course, if it moves the needle of our business, that would be great, and it certainly did. Tess: Wow, that’s really neat. Hey, it looks like your face frozen. I can hear you just fine, but your mouth hasn’t moved for three minutes. So, I don’t know if you can do anything about that. Tess: Oh, hey there. Hey, Matt. Tess: Oh, no. Hey, Matt. Tess: Couldn’t resist. So, you’d already start the business. Was your business named Handshakin’ already? You said it was, what, did I catch that right? I was busy looking at your frozen face. Was it a year later that you did Guinness, after you’d started your business? Matt: That’s right. So, originally, the business was The Handshaking video series, and we just started off interviewing technology entrepreneurs. I was just trying to learn what was next for me after getting out of real estate. And then, shortly after that world record is when I had a mode of inspiration that kind of changed our business model. And now, we just called the business Handshakin.com. Tess: Neat, okay. So, let me ask one more question about the world record. So, the world record, you got press, some backlinks from these different media articles, some real credibility, and also great conversation piece. But really, I think, you put some bang behind your, I think I’m using the wrong saying, but you put some real credibility behind you because your business is about making connections, connecting people, and you have a world record in physically connecting people. That just really makes you stand out, and that’s what most social media and personal brand and a business brand. How do you stand out? So, I’m just impressed. So, also, you said, Wikipedia, you can get a Wikipedia article about yourself. Is that a particularly valuable backlink? Matt: Definitely. It definitely is. Matt: So, we get a good demand of traffic from the Wikipedia links that we have. It’s kinda funny, it’s backlinks in general, you know, before you get a big backlink, or let’s say, before you get a very big backlink, they’re gonna wanna see that you have at least a big backlink. And then if you’re latent, it makes sense, then they’ll add you. But, you know, the higher your reach in terms of domain authority, the harder it gets and the more of an online foundation of existing credible backlinks you’re going to be required to have. Does that make sense? That’s what I’ve learned. Tess: It does, yeah. So, Matt, can you give us a little more specifics on what’s a big backlink, or a big backlink? And maybe some of our listeners don’t know about the levels of domain authority. Can you give us a quick rundown? Matt: Yeah, definitely. You know, I kinda wanna get into more detail about that when we start talking about the small websites, but I’ll give a little bit right now. So, like a big news source, like Entrepreneur.com, you know, that’s going to be a very powerful backlink, more so than say, you know, another entrepreneur here in Denver or Arizona gets a backlink from Denver Business Journal. That can be a big one too, but if the domain is Denver Biz, or let’s say there’s one called BusinessDen, we have a news source called BusinessDen.com, a local news source here in Denver. And obviously, that’s going to help. Link from news sources are awesome, but it’s not going to be as big as a follow link, a permanent follow link from a huge news source that’s national, like Entrepreneur.com. So, you know, of course, entrepreneur is gonna wanna see that you have, you know, already gotten quite a bit of local backlinks or press, and that’s going to make them way more likely to link to you. Tess: Okay, neat. I have a ton of questions I wanna ask about that, but I’ll wait until we’re on that subject a little more. So, let’s jump over to, let’s talk about Handshakin’ for a minute. So, love the name, it really, you know, for a business that connects people with great brand, and you said you hand registered it in 2014? That’s not that long ago. Matt: Yeah, I think that was 2014, worse case 2013, and I really should know that. But, you know, when I came back from Capitol Hill and wanted to get out of real estate, I knew I needed a new domain for my business. 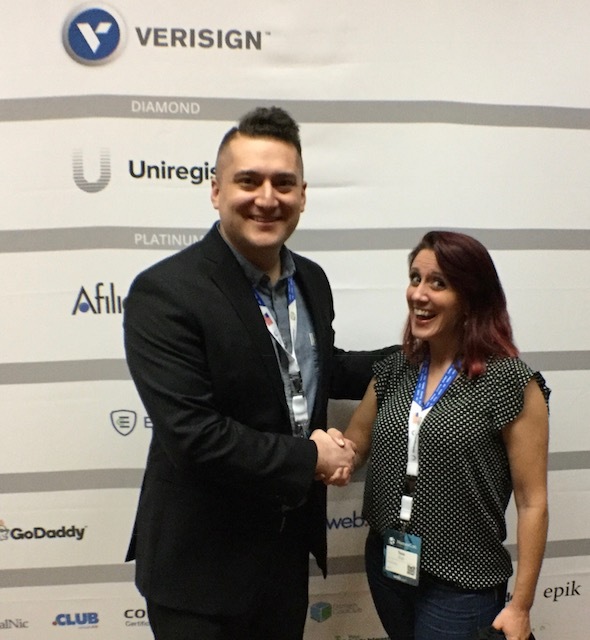 I know Handshakin’ was important to me because, like you said earlier, the DomainSherpa network is all about connecting people, and it’s really about those in-person connections. And, you know, video is the next best thing. And then even just audio is still better than a text-based relationship. But, you know, that was important to me to. I think it’s really important for entrepreneurs to leverage the opportunity there with technology in terms of reaching out to anyone who looks to the phone or computer because you can. If they’re looking at a screen, you can get on their screen. And if you can get on their screen, that’s going to greatly increase the chances of you sitting down next to each other or hopping on a video call together. And that’s where relationships are built even faster and more authentically. So, that’s kind of what Handshakin’ means to me. Tess: You’re absolutely right. So, when you stepped out of real estate, you pretty much, you know, divested all your assets, or most of them, and you spent a year just exploring. You have this year-phase that was, and because you’re financially in a place for it, this was your educational year to do what? How did you spend that year? You knew you wanted to leave real estate and go into tech somewhere, something. That was it? Matt: That’s right, I wanted to get more into technology, and that’s the very reason that kind caused my loss of interest in real estate. It’s just a lot of surrounding businesses run outdated. Like I can’t tell you how many checks I wrote to contractors and businesses, how unorganized stuff was. You know, it’s all over the place. Maybe there’s a tech message or a phone call that I don’t remember. And it’s just, it’s hard to stay organized when your processes aren’t automated and organized and all online in one portal, or multiple online portals too. It’s still easier than pieces of paper in different places. So, yeah, for the first year at Handshakin’, I just interviewed technology executives and entrepreneurs about how networking played into their success and how their personal brand has helped them. Because, I mean, it originally was just a video series about interviewing entrepreneurs, but a lot of people do that, and I found myself asking questions related closer to networking personal branding. So, did that for the first year of Handshakin’ before we started offering services. Tess: So, it sounds like your real foundation was that you knew yourself, you knew that your passion is networking and connecting with people. You know, nobody earns the name Handshakin’ without that being a big part of who they are. So, you knew that, and you knew you liked technology, and that’s it, and you just took a year to just wing it, to explore. That’s really unique. Matt: Yeah, I think, Tess, it was fun. It was fun. Tess: Yeah, okay. So, you spent a year, you just explored, and then all of a sudden, you had a conversation with a billionaire that changed everything. Matt: That’s right. So, you know, the video series was just flattering. I remember thinking, if I could get Brad Feld, a venture capitalist here in Colorado, on my video series, that would be success for me this year, and I’m gonna try to do that by the end of the year. Turns out, that when you ask to interview people about their success, they’re a lot more responsive than, “Do you wanna grab a coffee?” So, that’s kind of a fun little secret that I encourage other entrepreneurs to use. Because when you ask to interview someone, even if you just started and you have 10 web visitors a month, the fact that you want to interview them implies that you wanna share their knowledge with your entire network. And that instantly increases the value of the conversation, right? Because if we’re just meeting for coffee, you just wanna pick my brain for yourself, but if you wanna interview me, you wanna share my knowledge with everyone you possibly can because you’re that excited about my professional. That’s flattery. So, people are going to say yes to that. And so, without spending too much time on that, you mentioned how this conversation with one of the billionaire entrepreneurs behind Priceline changed my business honestly. And I started asking people about interviewing them, I got Brad Feld on the video series, and shortly after that, a friend called, “Hey, Matt, do you remember John Paul DeJoria?” I said, “Yeah, you told me you’d met him a couple times. He’s a billionaire based in L.A., founder of Patrón Tequila and Paul Mitchell hair products. I remember JP.” And he invited me down, and I interviewed John Paul DeJoria at the place I get my hairstyle still, and that was my first billionaire. Someone just called me, and I showed up, and it happened, and it was crazy. That was the first time I was interviewing someone where there weren’t just cameras but there’s a big group of people behind the cameras, and that was kind of nerve-racking, but I’ve grown to like it. And that guy is sharp. And then I reached out on LinkedIn to, like I said, one of the billionaire entrepreneurs behind Priceline.com, Jeff Hoffman, and got a response from him and got a meeting. I couldn’t believe it. Just cold, without any warm introductions. And, you know, I’m not a big-time entrepreneur, I haven’t done much. At the time I reached him, I wasn’t a world record holder back then. So, he met with me, and I asked him why. He said, “Well, Matt, you have a strong personal brand. Of course, I’d meet with you, buddy. I saw your blog posts, I was interested in them, and I could see exactly who you were in your videos.” That’s when it clicked for me. Tess: Wow, that’s big deal. So, you completely, you just sent a cold in-mail to, I mean, one of the founders of Priceline.com, and they took the time, so intrigued by your invitation to interview them that they looked at you and saw your personal brand, and that’s what made him take the time. That’s really neat. And he called you buddy? That’s good. Tess: Like he felt like he knew you. Tess: That’s what, I mean that what buddy says to me, right? He felt like he knew you. So, that changed things for you. You’d spent this and you’re exploring, you talked with this gentleman, and you say, “This clicks. Now I know what I’m gonna do.” And what did you do from there? Matt: Yeah, so, it clicked for me because I realized, “Oh, wow, I have this skill and ability to grow, in that case, my own personal brand, strong enough to get meetings that entrepreneurs can’t,” and these meetings are so important for entrepreneur’s businesses. You know, once you open up a relationship with someone, you can ask them to invest in your business. You can ask them to be your highest net worth client. You can ask them to become a referral partner. And the higher you reach in your personal network, you know, the more challenging that gets. And I think a lot of folks really struggle with that, you know. It’s easy to maintain your personal network and, you know, even make a good living off of it. But once you change that and you get plugged in with, you know, entrepreneurs who are doing larger amounts in sales, sorry about that, and I’ll go a little bit more sharp where that really opens up a lot of opportunities for you, as well as credibility too, right? Like, who else would you trust about, I don’t know, let’s say construction management, like if you see someone online who’s interviewing a ton of founders or CEOs of bigger construction companies, of course, they’re the trusted construction management expert, for example. So, the side where you build your credibility is important, and in also leveraging that online effort to drive more leads is also important to be able to finance the marketing activities. Matt: So, that’s kind of my start, you know. Matt: Yeah. So, just to recap really quickly. So, I’ve met with Jeff, realized how important personal brand is and that I need to help other entrepreneurs and stop growing my own video series as my primary focus. And ever since then, we’d offer client services, you know, really, online marketing services with a focus on personal brand, you could say. Tess: Really, really cool, Matt. Really cool. And it makes sense. That’s who you are. You found, you know, I think that real success in business is about finding who you are and where you can create success around yourself. And that’s, you know, beyond the personal brand, that’s really, I think, there’s a degree of personal fulfillment in that too. Good for you. So, Handshakin.com, without the G, you said it’s sometimes a challenge that you gotta tell people without the G or spell it to them when you’re giving them your email. Tell me, did we talk already about, we said, you got this hand-registered in 2013 or 2014, why don’t you have the full dictionary word “Handshaking,” and what’s the story there? Matt: Yeah. So, I haven’t had dialogue with the owner, but it’s definitely worth something to me, right? I’m sure people accidentally typed that in. But, you know, if you’re searching for us or one of the many keywords that we rank for, you’re going to find us right away. I’d be interested in learning how much web traffic that domain had, and if it was relevant to my business, and if that would add money to my bottom line, maybe that would be worth investing, you know, a larger amount in, which I’d be open to, you know, at some point. Yeah, that’s kind of where that stands. I couldn’t believe that Handshakin’ without the G was a hand register. You know, I jumped on that one right away and have a time for the variations. And, you know, we’ve built that brand out pretty high, and trying to continue building it. So, yeah, we’d love to talk with whoever owns Handshaking.com and see if we can come to an agreement. Tess: Yeah. So, I think that’s real interesting to kind of hear the other side. You know, oftentimes, so many people in the Sherpa network are trying to sell their domain to someone and don’t understand why the other party hasn’t reached out already or doesn’t see the need to acquire it. So, it sounds like you’ve been busy the past three, four years building your own brand and haven’t even really taken the time to reach out for this. And you’re ranking for the keywords you want to rank for, you have a memorable name that you’re not losing significant traffic for. So, it sounds like if, say, you know, someone reached out to you, you’d have a conversation, or when time frees up a little for you, when you’re not spending your free 43 and a half hours of your free time shaking someone’s hand that, you know, it’s on your list. So, that’s just interesting to hear, and then it’s gonna provide you some value but not infinite value that you would spend anything on it. Matt: Yeah, you know, one of my clients was doing a million in sales last year, and they already passed 2 million in sales this year, and I told them I couldn’t believe that they hadn’t invested in any sales and marketing. They had no way to go out there and get new leads. And it was a good learning lesson for me that I’d like to share because I think it relates to this. And I asked them, “What do you do when you go and get leads?” And they didn’t have an answer. So, I wanted to start working with them, and they became a big client. But at the end of the day, they don’t need to invest in sales and marketing because they doubled sales without it. So, it’s kind of similar to me buying Handshaking.com. It’s like business is growing, business is going well. You pitch me on why I need to acquire that for the amount that you’re asking, you know. I mean, I’ll make you an offer right now. I mean, I’m kind of coming from both perspectives, right? I’ve got about 400 domains of my own. I’m a domain name investor and had been for probably about coming up on five years. So, you know, I think I understand kind of both sides of it. And to the owner of Handshaking.com, if you’re gonna sell it to me or not, I would recommend putting up a better landing page because it’s hard to get in contact with you. Although I can see what you’re asking for, I don’t like it, maybe you can tell me why it’s worth that and I’ll buy it from you. But, you know, for when I’m at in my business, that’s your job to pitch me. Tess: Interesting, okay. And, you know, there was some vocabulary you used earlier about a network, but I wanna apply it here but I don’t quite remember it. But you’re saying something, as you get like levels of who your connections are that it gets harder to, you know, garner more from those. What did you say? What’s the lingo there? Matt: You know, I’m not sure exactly what the lingo was that we talked earlier, but, you know, I would say that the higher caliber of personal network you build for yourself, the more and more people are focused on relationships instead of money, you know. Like the higher caliber you get, the more people are, you know, willing to pay for, you know, the meal for everyone who’s there or the round of drinks for everyone who’s there, or just do a bigger business favor, you know, offer a higher value than your business can offer complimentary to friends. That’s really the only comment I’d have there that we might have gone over. Tess: Okay. Well, I’m just thinking about it in the same way, like you were growing your business, and you’re in this certain phase, like a step on a ladder or on a stairway, right. And so was your client who was getting, you know, $1 million to $2 million worth of sales, the step that they’re on, they don’t have time for looking for extra things. They’re just trying to manage the business that they have. That’s what it sounds like. And when you get to a different level, you’re able to either have expandable income or income that would balance your marketing budget and make it worth buying, you know, the Handshaking.com or for that other example, buying leads, that it can become worth it at a certain point. But when your resources are only stretched too thin, you gotta get to the next step on the stairway to get there. So, that’s just kind of what I was hearing there. So, really, really interesting. Matt: Yes. So, I could kind of clarify that a little bit. So, the steps on the staircase or ladder is kind of a representation of like where your personal network is at today and where you’re trying to grow. Everyone values people and judges people on different things. So, there’s not one way to measure it, but say you’re measuring your personal network by network and the amount, like how wealthy your friends are, you know, how self-made your entrepreneur friends are. You know, all those are different ways to measure it, you know. And I think that can generally correlate with your bottom line and your income, even if you’re a jobseeker or an entrepreneur, I think that can correlate with both. And, yeah, that’s kind of a different concept than what I was describing with my client who had doubled their sales, that’s just fast and impressive growth. Tess: Yeah, yeah. Okay, cool. Well, thanks for clarifying. So, you are still a domain investor, you have been for about five years, tell us, so sounds like in the last six months, you’ve really found a strategy that works for you, tell us about it. Tess: Oh, you’re excited there. Matt: So, I’m so excited to talk about this. Matt: So, I come from a real estate background, right? We would acquire single-family homes with out-of-state investors here in Denver, and I’ve still got a couple of properties here. But coming from that background, I never really learned how that would fit in with my technology and marketing company handshake. I own, you know, hundreds of domains, and that number continues to grow, no matter how fast I drop the bad ones. And I finally think I figured out how this all works. And now, after two and a half years of doing client work and online marketing for clients, I’ve learned what the highest-value activities are. And we’ve now launched 40 of our own websites. This new strategy, hold on, before I get into that, I’ll back up. Instead of building testds.com for you, and, you know, improving your website, improving your backlinks and SEO and improving your asset, and, of course, having to ask you to take the risk with my company for your marketing efforts. Now, we build our own websites, and it takes about six months, but we’ll get them to rank for a specific set of keywords in a smaller geographic location, and then we’ll go and reach out to the people where those phone calls and leads would have value, maybe 15 to 25 people would find value in it. So, if no one pays us, we’re just gonna pull the plug, but that rarely happens because people want leads. And that’s generally why they’re investing in marketing and sales. So, now, I’m going all in on this strategy, we have 5 paying customers out of 15 websites that are ranking, or about 6 months or longer, and then another 25 websites, for a total of 40 websites, of our own that we own and that are live today, and the other 25 are just new, so they don’t rank yet, or, you know, they rank a little bit but they’re not where we want them to be. Our goal is about 50 to 60 phone calls per website per month. Tess: Okay. So, I don’t get lost with the numbers, you had 40 active websites, 25 are something, and 15 are something. What? Matt: So, 25 of them are newer. Tess: Oh, okay, all right. And 15 had gone for 6 months, and those are the 15 that are making 500 bucks a month total between the 15 of them. Matt: Well, we only have five paying customers. So, I can’t say that all 15. Tess: So, you start out with hand registrations or expired domain names, right? Tess: And tell us, get us at the very beginning there. Matt: Okay, excellent. So, yeah, putting on the domain investor hat, I’m on GoDaddy Auctions looking for expired domains, right? And our three initiatives are concrete, window tinting, and roofing. So, I’ll search for those types of domains, and if it has a city attached to it, like, let’s see, what’s a good example, Spokaneroofcleaningservices.com is one of our assets, and although that one is one of the 25 websites that’s newer, it was expired, and it already ranked for keywords like moss removal, roof repair, roof cleaning, roofing contractor, up in Spokane. So, we’ve acquired that domain, built a website on it, put it through our process, and, wow, it started getting lead almost right away. Why is that? Well, that’s because it previously ranked for the same keywords in the same location that we are attempting to rank for. Now, you pick one of our oldest website. Tess: How did you find, sorry, we got a little delay, how did you find that it already ranked for moss removal? How do you look that up, Matt? Matt: SkimDaddy, have you heard of that? Tess: SkimDaddy.com. So, you look at an expired name, you look for your keywords, roofing, help me out, roofing, concrete, and? Matt: Roofing, concrete, and window tinting. Tess: Okay. So, you look for those names on GoDaddy expired auctions, then you take those, you go over to Slimdaddy.com to just the ones you’re interested in. Tess: You bulk paste all of them in, or what do you do? Matt: Yeah. So, generally, I’ll put quite a few offers out there. I’ll bid on maybe 4 to 10 domains at a time when I’m trying to acquire some new land to build the house on. And, yeah, of course, if I’m not gonna win it for the lowest price, I mean, I’ll usually take up to a $20 risk without much research, and then we’ll decide later if we want to invest in that one now or later or drop the domain. But, you know, after we acquire, I mean, we have 40 live websites, we probably have about 80 domains that could potentially be a small rental website, for lack of a better name for these sites. Tess: That’s really cool. So, just to back up, so you go over to SlimDaddy, do you have to look them up one by one, or can you just bulk paste your whole list of interested possibilities? Matt: Yes. So, SkimDaddy is a tool for GoDaddy Auctions. I haven’t had the need to upgrade with them. I think they’re 100 bucks a month or something. But, you know, if you’re acquiring more than we are, it’ll probably be worth it, but it’s just, we already have domains that we should be building websites on before I go and bid on them. But I love bidding on domains. The land part, the real estate part of domain investing really excites me. But yeah, it essentially is a better search tool for GoDaddy Auctions, is what I would describe SkimDaddy, Tess. Tess: Okay, yeah, I was saying it wrong. So, it’s Skim, S-K-I-M, Daddy.com. Okay, good to know. Tess: So, you’re going over there, you’re looking up the backlinks. Then you go back, you decide how much you wanna pay. You’re willing to take a $20 risk of more than what you think it’s worth. And then you get a name, like FoCo for Fort Collins, fococoncrete.com. You get this name, or was that an expired or was that a hand-reg? Matt: Good question. So, that one was one of our first, and it was a hand-registered. And it took longer to rank than Spokane Roof Services because of that. But it still works, it still works with hand-registered. You’re just ranking for a specific set of keywords in a small geographic area. Matt: It’s okay. So, yeah, we did use a hand-registered one, and we’re getting way more into expired domains. I mean, or whether they’re not expired or not, I mean, as long as they rank for keyword, I mean, you can imagine that’s kind of hard data to get your hands on. You’re looking for a domain in a city that generally has a population under 300,000 that overlaps with your niche, like for me, concrete, window tinting, and roofing, and it’s not six words long, you know. So, it’s challenging. Tess: The other one is four words long, that’s okay? Matt: Spokaneroofcleaningservices.com, it drives me nuts, but it gets phone calls, and that translates into dollars. So, cool. Tess: Okay. Okay. So, what do you do? You said then, once you get the names, you put them through your process. What’s your process and how do you develop it? Matt: Yep. So, we developed it based off experience of working with our clients, as well as watching, you know, I’ve watched a lot of YouTube videos and other people like kind of rent these websites out to learn what the relationship looks like between me, the website owner, and the contractor, in my case. And, you know, a lot of people are doing this. They’re doing it with a lot of different niches. And to answer your questions about my checklist, I could pull it up. I’m comfortable sharing it because it’s, you know, it’s time-consuming to launch these websites. I’ve got a team of four people working for me to help with this, and by no means does it quick, you know, set a website up and it starts to rank. Generally, our process is identify the domain name and then build a 5 to 10-page website on it, you know, home, about, services, subservices, contact, and blog. Matt: So, they’re gonna have pages and some subpages. We’re going to develop original content and design a beautiful website. We use Weebly for all of our websites, period. So, a lot of people have a lot of opinions on that, but I’m very, very confident with Weebly. We then go into Weebly and enter all the on-page SEO information, the page title, the page description, we’ll try to get the phone number in there. We buy a phone number from Grasshopper.com, and, you know, so that way, we can track exactly how many phone calls each website is getting. And then we simply forward the phone call once someone pages for the website or we put them on a free trial, we just forward the phone call. So, these leads aren’t your home advisor leads, they’re way more valuable than that because they’re live leads looking for something right now. And we send them to one person, not 10 people. So, the competition is a little lower. I mean, what’s a lead if it’s the most competitive lead, you know, you receive. It’s way better to get a referral from a friend or a person who just wants to talk to you. And those are the leads that we’re sending people. So, yeah, we get the Grasshopper number, put that all over the website, click publish on the website, we publish one blog post per month per website, which is a lot of content for 40 websites, and let’s see what else. Off-page SEO, we’ll generally put these websites in 30 directories. So, we’ll find some local ones, right. For Spokane Roof Cleaning, we’re gonna put that website to Spokane Chamber of Commerce, right, a local website that’s local in that city, and then we’ll also gonna put it, not concrete network, like a bigger roofing directory that’s national. ConcreteNetwork.com is the one where we register all our concrete websites on. And then, you know, Facebook, Twitter, Instagram, Yelp, all of those are directories as well, and we’ll register that, the domain. And, well, actually address, right, we didn’t talk about address. We have to have a phone number and a physical verified address on Google, right? Matt: So, coworking spaces are good for that, and you do have to pay them. So, verifying the address there is important, and then sticking with that address as you register in all the directories is also important. Matt: So, yeah. Since it’s a lot of content, it’s a very light [inaudible 00:37:10] SEO strategy. And, you know, I’ll try, I’m a contributor on Entrepreneur.com, it’s hard to make a plug for 40 small websites, but I’ll try to, you know, get some really higher domain authority websites to point back to some of these smaller ones. And sometimes, that can drastically change the amount of phone calls we get because we drastically rank for more keywords. And, of course, with Handshakin’, Handshakin.com has a little bit overlapped with real estate and automotive but not much. So, I’ll try to mention them if it’s a good excuse, or sometimes I’ll blog about how I’m doing these small websites, and that’s obviously a no-brainer to link to them. And Handshakin’s domain authority can sometimes give them a small boost, but, you know, we’re by no means a huge website. Tess: Well, that’s pretty well. So, you get these phone calls, you’ve invested in the domain itself, in the Weebly site or the Weebly hosting, you’ve invested in getting from Grasshopper.com, avoid phone numbers that just forwards to whatever number, you have somebody to answer, and then you’ve also invested in a coworking space, or somehow, to get an address locally. So, you have those investments, and then it sounds like, I understand how you’re getting traffic, how on the other end are you turning those leads into money? How did you arrange that aspect of it? Matt: Okay, good question. So, if we send a concrete contractor 10 qualified leads, you know, he might bid 3 of them and close 1. Matt: And a concrete job would be anywhere from $5,000 to $50,000 depending on the lead, So, if I send you 60 phone calls a month, I’m changing your business, if you’re a small shop, and that’s worth a lot. So, if you can just bid on or close a few, you’re probably going to be very happy to pay $500 to $1,500 a month for the leads that my website generates. Tess: You know, in answering the phone calls, they go straight to the contractor. Matt: Yes, it’s a great question, yeah. So, I’ll take a moment to explain that. So, when it’s a new website, I’ll keep the phone calls coming to my phone directly because I can answer it here, if it’s spam, I can answer it here, and if it’s a lead, I’ll just type down their information via email and then send it. But no, I mean, the amount of time and man-hours it would take for us to manage the phone calls, it just makes more sense to go direct to the person at the other person’s business. And, you know, they’ll pick up the phone, and, you know, the customer calling will say, “Hey, is this Fort Collins Concrete Contractors?” And no, maybe it’s Mendoza Concrete or Dario’s Quality Concrete, and they’ll say, “Hey, yeah, it’s okay. We’ll take a lead, yeah, this is us.” And they’ll kind of function under our brand name when our customers call. Matt: How do find contractors? Tess: …to come to you in the first place? Matt: They don’t come to us, we come to them. So, we, you know, prospect maybe 30 leads, try to get emails and phone numbers, which is possible. You know, it’s better for us to get them off Craigslist and Yelp. Someone who’s registered their Yelp page is a little more advanced than someone who’s just posting a booking for, you know, driveway, “Give me a call,” and they don’t even have a website. Now, one thing I’m really excited for, Tess, is when the day comes where I sell one of these small websites, right. Because if I have someone paying $500 a month, how much is the domain name worth? And one opportunity is to continue working with them, where they’d be, even after they, you know, spend 10 or 20 grand on a website, because, you know, if they’re spending $500 a month, I mean, it’s definitely worth $5,000 because then they don’t have to pay $500 a month, and they can recoup that in the first year. Tess: So, you’re basically cold calling, excuse me, you’re cold calling concrete companies, or the roof cleaning service companies in Spokane, you’re calling them all up and saying, “Hey, I got a bunch of leads, I’ll sell them to you,” and you get somebody to agree, and you put them on a monthly automated billing. Is that right? Tess: You know, monthly billing is a real, it’s a much easier sell than a, you know, “Buy this website for however much,” right? And then it’s easier to upsell from that, say, “Hey, are you sick of monthly billing? Why don’t you buy the whole site instead?” How did you come up with monthly billing? Most domain investors are just looking to sell their domain. But I think because of your resources, this is what you do on Handshakin.com, you help businesses to build their online profile or generate more leads. So, I can see the connection, but why did you decide on monthly billing, and who manages that monthly billing? How is it automated? Matt: Yeah. So, we just use FreshBooks for our invoicing, and you can check the box that says, you know, “Pay as soon as invoices come out,” and the client receives invoice and gets paid automatically. They’re reminded of what website they’re paying for, because some people, I mean, like a bad customer for us is someone who doesn’t understand where the leads are coming from. And they just pick up the phone, they don’t understand why the person stated Fort Collins Concrete Contractors instead of Dario’s Quality Concrete. But, yeah, to answer your question on billing, we use FreshBooks.com. And by the way, a lot of the resources we talked about I have right at Handshakin.com/resources, including FreshBooks, where you can get a discount if you sign up. So, I’d encourage people to check that out. But a lot of people also asked, “Matt, why don’t you charge per lead?” And my answer is, well, this is still a newer strategy that we’re trying to pivot to, and maybe at the end of the day, we probably could make more money doing that. But for now, it’s just gonna be a flat rate, and if we send you that additional business, there’s no charge right now. But, you know, in the future, that might change. And we have a goal of 50 phone calls per month. If it goes above 60, we’re gonna have to chat about what that looks like moving forward. Now, if it drops below 30, then you would get the following month for free. Matt: So, you know, we’re, like. Matt: Yeah, yeah. It’s just like estimations, because in coming from a real estate background, I’m looking for that passive recurring anticipated amount each month, where, you know, maybe we can make a little bit more but the peace of mind for both the contractor and myself has value right now. So, we’ll stick with that. Tess: Yeah, you know, I hear your pieces over and over of how you’re applying your real estate background here, really, really smart. So, you said, in Grasshopper.com, you’re watching how many calls they’re receiving. Do you send your client like a monthly summary or any visibility for them? Like, “Hey, you’ve gotten these many leads,” or what do you do with that? Matt: Great question. So, I’m excited to say, we don’t do any client reporting right now. Our clients are buying in this because we’re nothing but the results. And we don’t need, they’re still paying us without us required to report on the benefit we’re giving them. They think it’s that valuable, which is exciting. Now, of course, we have the ability to pull reports, and every two weeks, we’re looking at how many phone calls do this website get. Is it time to find someone for this website? Or if we have a paying customer, how many phone calls were successful, right? Because if they did a bad job of answering the phone calls and 50% of your phone calls weren’t answered, you’re a bad client, and I’m gonna fire you because if I don’t find someone, the business isn’t being produced. You need to be making more money for me to make money. So, answer the phone calls. Tess: So, you can see if the phone call wasn’t answered. Really? Matt: Yes. So, we can see successful phone calls, voicemails, and hang-ups. Tess: Oh, really? Okay. So, if there’s a voicemail, that’s good. You know, if there’s a conversation that’s good, and then you can see if there’s a hang-up, that’s usually not so great. Matt: Not happy about it. I don’t wanna see hang-ups. Tess: Really, really smart. So, you’ve got $500 a month from 5 clients across 15 websites, so some of them are advertising on multiple websites, or they’re not advertising, they’re receiving leads from multiple websites? Matt: No, we don’t have any one client that has purchased or rented two websites. Now, that just hasn’t happened yet. I’m sure that’ll happen soon because there’s like, like we have Boulder Window Tint, we have Denver Window Tint, Colorado Springs Tint, and Pueblo Tint. That’s four different websites. And Boulder and Denver are pretty close. Matt: Consumers don’t drive that far for getting their car tinted but, yeah. I mean, it hasn’t happened yet, I’m sure that might happen one day in the future. Tess: Okay. And do you have a pitch deck that you present to? Now, I mean, I know, like contractors, generally, are more of a kind of conversation, and, wait for it, and handshaking kind of people, couldn’t help it. So, do you have a pitch deck you present? Do you have a PowerPoint? Do you go and meet them in person? How are you selling them to agree to this in the first place? Matt: Yeah. So, although some of our…in Denver and nearby areas, most are not. So, we’re not meeting in person. Most of the time, it’s a phone call, and instead of a pitch, we’re simply sending them the results for free for a week, and we’ll send them leads for one week. And then we’ll give it up to about three weeks, and if they don’t close within three weeks we’ll never talk to them again. And they lost that opportunity. Because, I mean, sometimes, they’re just hard to get in contact with. And if you’re not picking up my phone calls, you’re not gonna be picking up my leads either, and I’m not looking to work with you. Matt: So, it’s crazy. It’s just flipped the whole like online marketing agency model on its head. Like it’s still a new strategy to me, Tess. So, I’m hoping it’s gonna work. We’re already making some money off it. And the money that we’re making is easier. I’ve had one guy on Boulder Window Tint for seven months. Now, he was paying $350 a month, you know, because he got in with one of our first websites. So, I’m not gonna jack it up on him, and I talked to him once in seven months because I called him to ask how it was going, man. That’s the type of client I’m just trying to work with. Tess: So, have I misunderstood this whole time? You’re not making $500-month total from the 6 months. You’re making $500 per month per website that you’re doing this with. Matt: Yeah, so, that’s the goal, you know. Every window tinting websites are worth a little bit less than concrete. And based off where we have different goals for each website, and absolutely, I mean, that 350, the minimum is gonna be 350, maybe I’d let someone pay 100 bucks a month if we were about to pull the plug on the website. Our cost for each website is just a little under $50 per month. It’s a great business model. Tess: Okay. Yeah, that really is a smart business model. And, you know, Matt, I just kinda wanna focus on something else. I’m just hearing this little golden nugget in here that you’re saying, there are people you don’t wanna work with, that I think sometimes it’s easy to say, “Oh, they’re willing to give me money, or they took my phone call,” or something and we feel this desperation to close anything. And what I’m hearing you say is that you’re really trying to close a quality relationship that is going to be efficient, low-energy, if that’s a word, or, you know. Tess: And someone who you care about, your personal brand and Handshakin’s brand that you’re truly sending your leads to someone good not just somebody who says, “Yeah, yeah, I’ll take it.” I’m really hearing that quality level in this. Where is that from? What’s your experience in real estate where that’s important? You know, we see less and less integrity in, especially in American business these days. Tell me about that. Matt: But give it three months, six months, or nine months, and if you, I mean, you can’t always predict what’s a good or bad tenant, but you can do your best and you learn to ask better questions. And, you know, it’s important that that quality is there, and that mutual respect is there, and that both of you understand the goals of the other person. Like I want my tenants to understand my goals as the landlord because that’ll affect how they treat me when issues come up, and vice versa. As hopefully a good landlord, I need to understand, you know, why my tenant’s moving and what’s important to them right now and what they didn’t like about their last living situation. And I think that’s the same case with these small websites, you know. Contractors should understand my goals, and I should understand their goals. Then you also mentioned something about handshaking with these contractors, and you caught me, my secret motive is to turn these little non-online contractors into authorities in their space that would, you know, any contractor’s website, you’re going to generally trust a little bit more than one who just guys on Craigslist, you know. Do you even have insurance? Are you licensed? So, yeah, you know what, I do see the two overlapping in the future. But right now, I’m so excited about this, renting small websites model versus the online agency model, where I’m going all in with these websites, and then hopefully they’ll overlap as much as possible with personal branding. Tess: That’s just phenomenal, Matt. I think that our Sherpa network here must really have gleaned a lot from you and how you’ve taken your areas of expertise and passion and apply them so well and with such integrity. I know that I wanna rent from you, I wanna do business with you, you know. You just, you knew, you have a personal brand, it’s who you are, and you’re making real connections. So, what do you say your goal is? I wanna check back with you some time. You said you goal is how many websites in what amount of time? Matt: Yeah, well, to be honest with you, I’m coming up on 30 here in 4 months, and my goal was $1 million in sales, or $83,000 of sales in one month. Matt: And I can admit, we’re not there, we’re much closer than we were last year, but, you know, we’re not there. So, I don’t know what my goals are, Tess. I don’t know. I gotta make new goals because, you know, we’re probably not gonna hit our goal that’s now four months away. We might get close. We might break it. I’d be very impressed if our team broke it. Tess: If you don’t mind me asking, what are you at now then? So, $83,500 is your goal per month, what are you at? And is this for Handshakin’? This isn’t for just the websites. Matt: This would include my rentals and online marketing client. I run everything out of the Handshakin’ accounts, and that includes rental income, online marketing clients, and small websites. Matt: And we’re just at about $16,000 a month. We are just shy of 16,000 last month. Tess: Okay, all right. Well, congratulations. Tess: That’s not a shabby number, you know. And I’m pretty confident you’ll get there. So, you know, we’ll check back with you some time, and I think that these small businesses, it sounds like are really gonna continue building for you. So, and a little less overhead that a real property. Matt: Yeah, I mean, if I could just quick change in strategies, I’d probably get that 83,000 a lot, but I have to stay free, you know, that flexible schedule they advertise on the job posting for entrepreneur, gotta try to keep that and gotta try to stay, you know, helping the people that you wanna help. So, yeah, excited for 2015. Tess: You’re keeping it efficient by having it on, you know, you’re qualifying who you’re doing business with, you’re doing mostly automated recurring billing, you keep it very efficient. That is gonna keep you free and flexible, especially as you add volume. So, good for you, good for you. You got 43 and a half hours of free time to shake some more hands? Matt: That’s the goal, that’s the goal. Tess: Very cool, very cool. Well, Matt, I’m so grateful that we got to spend some time with you today. I hope that you come on again. And is it all right if our guests want to reach out to you? I’m sorry, if our Sherpa network wants to reach out to you, do you have any contact info you’re willing to share? Matt: Yes, of course. So, again, I wanna highlight, check out Handshakin.com/resources. There’s a lot of good stuff there. And obviously, if you hit the contact button, you can contact me there on the website. If you wanna connect on social, my handle is @handshakin, without the G, across all networks. Tess: Fabulous, all right. Well, I’m just gonna say, thank you, Matt, thanks so much for your time. And I wanna say to our Sherpa network, if you’ve watched this show and you have questions that maybe I didn’t ask Matt about, please, post them in the comments below this video on DomainSherpa.com, and I’ll ask you, Matt, to come back and answer as many as you can. And if you’ve found educational benefit from this show, learn something new, or simply just feel inspired by Matt, please, take 10 seconds, post a comment below this video, like us on Facebook, share us on Twitter, share us with your network. And we’ll just all keep in touch, and hopefully, Matt, someday I’ll meet you in person to shake your hand, wanting right now though, say. Thanks for sharing all the details of your phenomenal ideology and your success. Thanks for being a DomainSherpa for others. Matt: Thank you. Thank you, DomainSherpa, and thank you all for tuning in. I know there’s a lot of content out there. And Tess and I both really appreciate your time. Hope to hear from you guys. Tess: Thanks, Matt. Thank you all for watching, and we’ll see you next time. Bye-bye. Sounds like way too much work. Hopefully it works for them, but i rather build out 1 better name and create brand, and expand that seo value, than what described here. We done a lot of work in SEO and branding, and honestly, this might work but it is extremely time consuming. Making 500 a month for crazy amount of work and upkeep…. I would not recommend anyone to try to replicate it. If you want to buili something, choose a vertical, get a great domain name. And with one name, much easier to build out greater authority from more respectable sites. Hope it will work for them, but they will likely re think their strategy going forward. Since the business still need to find the person who will pay you for ads. So its low hanging fruit conversion, that extremely hard to scale since every new industry requires significant time prospecting. What I’ve found with out sites is that simply one blog post per site per month keeps them competitive, and with focusing on ‘smaller’ ones in smaller cities, we can start earning money sooner than we could with a big site that we needed to rank say, nationally. That would take a longer time and honestly, is still a little beyond my expertise and budget. Open to hearing more about your idea there, though! Agreed the $500/mo is low, but all of this is still new. I know I’m sending some companies $60,000 worth of business which is why that number needs to be moved into the thousands. We aren’t looking at new industries right now, just focusing on window tinting, concrete, and roofing contracting. Thanks for the feedback! I think what you’re doing is fine Matt, money is money & for not that much work. I mean the poster is basically missing the point here, you have monetized these niche geo domains and they’re on autopilot. Matt, as long it works for you go for it. I have done tons of development in my day, and it is a lot of work. If you are able to produce content that decent, it might work well as long as you have the infrastructure to sell the leads.I hope it works for your team, since you guys are working in that space, but to most people i would not advise that method, unless they already have strong marketing background. My advice (for what it worth or not), a) find which industry will get you most leads, which is most desperate for leads. Analyse how much they paying for leads if at all, is there pain of acquisition or if its really easy to get new clients. Roofing or heating for example, would be two pretty different industries. So lets say you get RoofindNow.com, you can build out sub pages to get all sort of categories.Roofingnow.com/tiles , roofingnow.com/concrete . Hence each article or sub page posted, furthers SEO and also improves changes of getting higher value back links. I think second problem here is, you need relationships with contractors/suppliers/etc. This is for sure will take a lot of time and a lot of face time and relationship building, this is probably the hardest part of the business. And where i see biggest resistance. If you have one big enough industry (lets say roofing/construction), you are able to overlap all suppliers and each relationship you build improves lead acquisition. Since leads have expiration time, so it is resoucrs that needs to be offloaded quickly. Having one site, also means you need to do less content, less upkeep and you benefit the most from strong links. I have been been guilty of thinking money is money, and than few years later i realized that while i made some money, i lost significant opportunity to develop a better more scalable project some where else. Each undertaking will take resources, be the time, money and opportunity. This was a really interesting show all around. I like the way you’re monetizing those very specific domains and retaining control over them at the same time with minimal involvement in the actual operations. I need to do some of this with the many geo trade specific names I have and you laid it out perfectly! This is a subject that had been mentioned briefly many moons a go on here but was overshadowed by other topics so this was a really great in depth discussion! Thanks Tess & Matt, a big virtual handshake to both of you! Finally go to listen to the show – this one was really a keeper! I have planned – and even actually dabbled – with geo+service lead-gen sites, but definitely picked up a few gems on this show. I am also checking out skimdaddy.com right now. Great insights and thanks for the different domain tool suggestions. Absolutely, thanks for tuning in Saro! This was great from top to bottom, very informative, thank you so much for sharing and opening up. Great utilization of the .com space. I can’t wait to launch my first lead gen. website like this. Awesome, glad to hear you’re thinking of launching one. Let me know if you ever want to chat or just ask me a question over at handshakin.com/contact those go straight to me. Great show Tess, Matt we have a lot in common, we should connect. I bet it would be pretty cool the day you get approached to be interviewed. Happy to connect — http://www.mattholmes.in will take you to my LinkedIn. Let’s chat there. Great show, Tess and Matt. It was nice to have an “insider” look at how you’re building and monetizing domain names. Continued success to you! Thanks Michael! Hope NamesCon was a success for you and sorry I didn’t get the chance to say hi. Really appreciate your interview and the ideas you stimulate. Great show, Matt has some new ideas that should be studied. There are similar strategies regarding specific websites in small geographic areas to boost traffic to a business that operates in, say an entire county. Any tool that helps the little guy to survive against the mega-corps is welcome. A win-win for Matt and the companies he provides leads to. Good interview Tess! You changed the way you’re updating the DomainSherpa Podcast RSS Feed(s) – now I can’t even pull the mp3 file out of there to download. yeah i confirm it! the podcast app says that the episode url redirect to a web page (domain sherpa home) instead of the mp3 link. if i try to download the mp3 from the site, in fact you get redirected to Domain sherpa home. @Jakie how were you able to download the mp3 inside the podcast app? or did you just listen it as an mp3? Thanks for another great show and thanks Matt for your time and info. Thanks Tess and Matt for a great educational show. 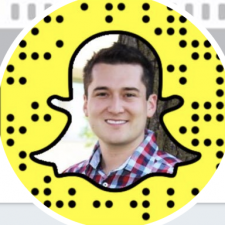 Thanks for sharing valuable information Matt, it is interesting how you are able to generate quality leads for your clients, all the best going forward, hope you hit the 83K per month sales target soon. Well done.